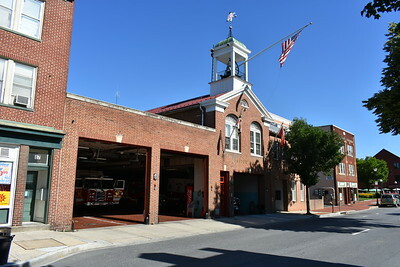 United Fire Company Station 3 in Frederick, Maryland. 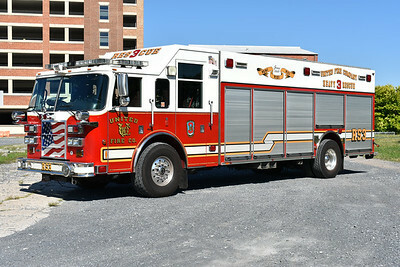 Squad 3 from the United FC in Frederick, Maryland is this 2005 Pierce Dash with job number 16800. Non walk in squad body. 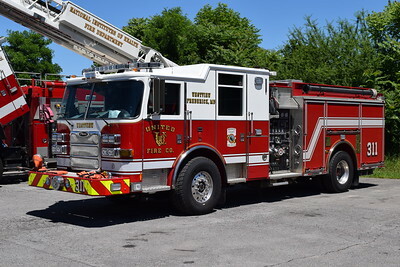 Not much room to photograph a fire/rescue vehicle on the ramp of United FC in Frederick, Maryland. Brush 35 just barely fit. 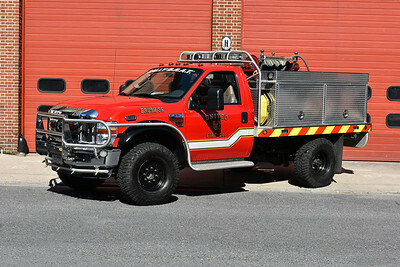 The brush truck is a 2008 Ford F350 4x4/Firematic Brat equipped with a 120/200/8. Photographed in July of 2017. 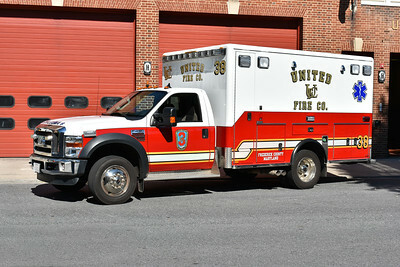 United Fire Company in Frederick, Maryland - Ambulance 38 - a 2010 Ford F450/Horton. Engine 311 from the United Westview station, a 2012 Pierce Arrow XT 1500/750. 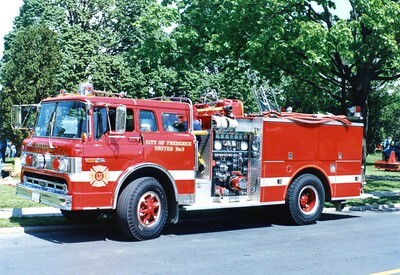 United Fire Company's former Engine 33, a 1979 Ford C/Pierce, 1000/500.